Ipsen has a specialist oncology portfolio in differentiated and innovative therapies in areas of high unmet medical need. We have been active in Oncology since 1986, branching out from a solid base in prostate, neuroendocrine tumors (NETs), bladder, kidney, pancreatic and breast cancers. Focusing on these selected cancers, we aim to provide fully integrated patient care, contribute to improved diagnosis and provide treatment options tailored to patient needs along with targeted support services. Ipsen is the world's top 14 biopharmaceutical company in terms of oncology sales. 67% of our global sales are in oncology reflecting continued Somatuline momentum and an increasing contribution from Cabometyx and Onivyde. Our oncology portfolio achieved 29.9% growth in 2018, making us one of the fastest growing oncology companies today. Our portfolio includes medicines for neuroendocrine tumors, renal cell carcinoma, hepatocellular carcinoma, pancreatic cancer, prostate cancer, breast cancer, bladder cancer, carcinoid syndrome and medullary thyroid cancer. Our oncology R&D is focused on specific cancers where we truly have an opportunity to lead and address unmet patient need. Prostate cancer is the 5th leading cause of death by cancer in men, and the most common cancer in men aged over 651. 1 in 63 people will develop kidney cancer2 in their lifetime and there are more than 250,000 new cases of renal cell carcinoma worldwide per year. Pancreatic cancer is the 3rd leading cause of cancer-related death in the United States surpassing breast cancer3. Bladder cancer is the 2nd most frequent urological cancer, after prostate cancer and the cause of 165,000 deaths per year worldwide4. Medullary thyroid cancer represents 5-10% of thyroid cancers5. 112,000 people are living with neuroendocrine tumors (NETs) in the US and 18,000 people in Europe. 6,7. Although cancer continues to try to outsmart recent treatments, we are committed to continuously innovate. Harout Semerjian, Executive Vice President, Chief Commercial Officer. Ipsen entered the field of oncology in 1986 and our portfolio now includes treatments for prostate cancer, neuroendocrine tumors (NETs) and cancers of the bladder, kidney, pancreas and breast. Focusing on these selected cancers, we aim to provide fully integrated patient care, contribute to improved diagnosis and provide treatment options tailored to patient needs, along with targeted support services. Our goal is to develop high-quality, innovative treatments that address unmet medical need and to be a leading global oncology player in solid tumors. 2017 and 2018 were flagship years for our oncology business, with one milestone after another, including regulatory approvals, clinical advancements and new partnerships to acquire highly sought-after assets. This resulted in our oncology business contributing 62% of our sales and achieving 32% growth in 2017. This success would not have been possible without an exceptional team. Over the past two years, we have strengthened our talent pipeline, recruiting transformational leaders from across the industry and attracting ambitious individuals with significant international launch and entrepreneurial experience. Of course, our drugs are the lynchpin of this success story. We have a demonstrated excellence in development with a diversified pipeline including early and late-stage assets. This means we can maximize the value of our assets in multiple indications and develop a differentiated focus with a fast-to-market strategy, creating biomarker-driven programs. One of our original drugs, SOMATULINE® is key to Ipsen’s leadership in the treatment of NETs and is now marketed in 57 countries and is still showing rapid growth. In our US business, Somatuline achieved double digit growth in 2017 and an increased patient share because physicians recognize it as the best choice for patients. Our oncology pipeline was reinforced in March 2016 with the in-licensing of cabozantinib from Exelixis. In September 2016, the European Medicines Agency approved CABOMETYX® (cabozantinib tablets) for the treatment of second-line advanced renal cell cancer based on the results of the METEOR phase 3 trial; and in May 17, 2018, the European Commission approved CABOMETYX® for the first-line treatment of adults with intermediate- or poor- risk advanced renal cell carcinoma. 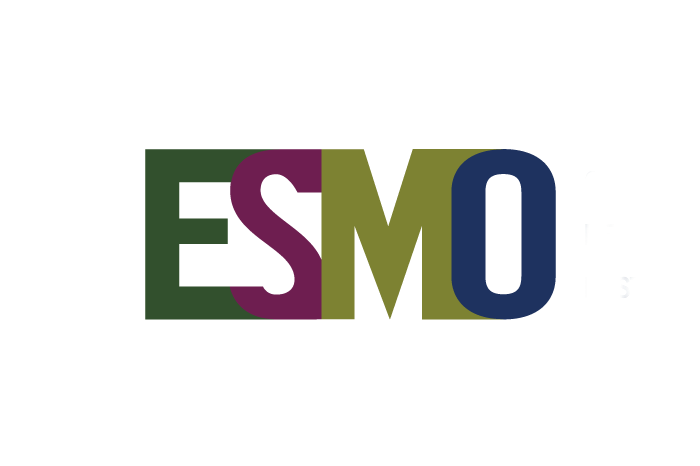 The EU approval was based on the CABOSUN trial, which demonstrated that cabozantinib prolongs progression-free survival (PFS) in treatment-naive aRCC patients with intermediate- or poor-risk. This treatment offers an opportunity to extend survival for patients suffering from RCC, which is responsible for nine out of ten cases of kidney cancers. CABOMETYX® is now launched in over 20 markets which underlines our successful track record of successfully launching ‘new oncology’ compounds in multiple markets. In November 2018, the European Commission (EC) has approved CABOMETYX® (cabozantinib) 20, 40, 60 mg as a monotherapy for hepatocellular carcinoma (HCC) in adults who have previously been treated with sorafenib. This approval allows for the marketing of CABOMETYX® (cabozantinib) in this indication in all 28 member states of the European Union, Norway and Iceland. A major strategic step forward in bolstering our growing oncology presence and leveraging our oncology infrastructure in the United States was taken in early 2017 with the acquisition of oncology assets from Merrimack Pharmaceuticals. The highlight of the transaction was the acquisition of commercialization rights for ONIVYDE® (irinotecan liposome injection), a landmark, FDA-approved treatment for metastatic pancreatic cancer. DECAPEPTYL® (triptorelin) for the treatment of prostate cancer, is another long-term Ipsen product that continues to grow apace and further growth will be fueled by a new indication in women with high risk recurrence of breast cancer. Going forward, our oncology portfolio will lead the company’s growth and we will focus our oncology R&D on a limited number of pathologies where we have the opportunity to lead. We are already recognized as a partner of choice for developing assets for rare indications and our ambition is to be a specialized player in solid tumors, focusing on specified areas of oncology with well-defined patient populations with high unmet need. We are already a top 16 oncology company and, with these clearly defined strategic priorities, we aspire to be a top 15 player by 2022. SOMATULINE® is key to Ipsen’s leadership in the treatment of neuroendocrine tumors (NETs). NETs are neoplasms that arise from cells of the endocrine (hormonal) and nervous systems. Many are benign, while some are malignant. They most commonly occur in the intestine, where they are often called carcinoid tumors, but they are also found in the pancreas, lung and the rest of the body. SOMATULINE®, has been shown to reduce the risk of disease progression or death by 53%.8 SOMATULINE® continues to grow because it provides a solution to an indolent disease that requires tumor and symptom control. It is marketed in over 55 countries, 27 of them in Europe. There are more than 250,000 new cases of renal cell carcinoma worldwide every year and Ipsen has the first and only multi-targeted therapy to prolong survival, slow disease progression and shrink tumors in patients with advanced renal cell carcinoma (RCC). In September 2016, Ipsen and Exelixis announced positive results from the phase 2 CABOSUN trial of cabozantinib versus sunitinib in previously untreated advanced renal cell carcinoma. This treatment offers an opportunity to extend survival for patients suffering from RCC, which is responsible for nine out of ten cases of kidney cancers. In 2017, we took a strategic step forward in strengthening our oncology portfolio by securing the commercialization of ONIVYDE® in the US, a landmark FDA approved treatment for metastatic pancreatic cancer. Prostate cancer is the 2nd most common type of cancer in men.11 DECAPEPTYL® (triptorelin) continues to grow in this area, with Ipsen the leader in Spain and Belgium. DECAPEPTYL® is a synthetic hormone therapy primarily indicated for the hormonal treatment of locally advanced metastatic prostate cancer, that can be now injected subcutaneously too. In March 2017, the MHRA in the UK, in coordination with 14 other European regulatory agencies, approved a new indication for DECAPEPTYL® as adjuvant treatment in combination with tamoxifen or an aromatase inhibitor, for women at high-risk of breast cancer recurrence. The indication is launched in six countries and submission for approval is underway in three other countries/regions, with launches expected in more than 15 European countries. HEXVIX® (hexaminolevulinate), is a photosensitizing agent that improves detection and resection of non-invasive bladder cancer and is a significant improvement for urologists and their patients. XERMELO is for the treatment of carcinoid syndrome diarrhea in patients whose symptoms are not adequately controlled with somatostatin analogue therapy (SSA). Carcinoid syndrome occurs in about 20% of all neuroendocrine tumors. Effective treatments to improve the health and lives of patients, whose carcinoid syndrome is not adequately controlled with SSA therapy, are needed. Medullary Thyroid Cancer accounts for 5% of thyroid cancers. Novel treatment options are needed for progressive MTC. COMETRIQ® has been proven to make a significant difference in the duration of progression-free survival versus placebo. Today, the world of drug development and commercialization is a hyper-competitive space. The speed of innovation is much faster than it has ever been, and it will only get faster. That’s why we need a biotech mindset, which is all about agility and speed of action, as well as a laser-like focus. We have achieved this with our oncology pipeline which now encompasses both the lifecycle management of our established products and the development of new molecules. We are proud to be a development partner to leading oncology research institutes, for example the MD Anderson Cancer Center in Texas, which will enable us to explore exciting new opportunities with world class cancer scientists, further strengthening our portfolio into the future. We are a leader in the new area of radiopharmaceutical development. Targeted Radionuclide Therapy (TRT) uses the ability of peptides or small molecules to target specific receptors to deliver a radionuclide directly to the tumor. This targeted approach provides an exciting ‘theranostic’ opportunity that offers the promise of use for both diagnosis and treatment of disease. We are also developing novel radiopharmaceuticals targeting the SSTR2 receptor to treat neuroendocrine tumors and the neurotensin receptor 1 to treat pancreatic cancer. Moving forward, we are investigating the combination of Cabometyx with immuno-oncology drugs for the treatment of RCC, a potentially transformative treatment. For Onivyde, we are considering two lifecycle management options in the first or second line treatment of different cancers with huge unmet needs. Securing a defined approach in immuno-oncology, where we are focused on both combinations with existing products in the short term and the licensing of 3rd and 4th generation assets in the longer-term. We are convinced this strategy will enable us to bolster support for cancer patients and maximize the possibility of better health outcomes for all, as well as delivering growth for the company. Clinical trials are a complex part of our industry so here we aim to present information on clinical trials in an informative and transparent manner. 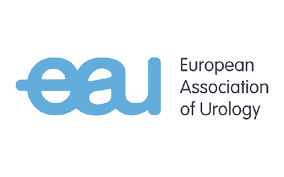 We work in close collaboration with EAU (European Society of Urology), ESOU (European society of onco-urology, including the jointly developed STEP rising star program) and ESMO (European Society of Medical Oncology). A growing number of projects have been developed with patient advocacy groups, namely Europa Uomo, Europa Donna, Movember and Fight Bladder Cancer. 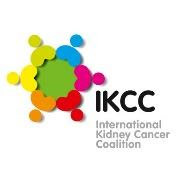 We work in close collaboration with INCA, the International New Cancer Alliance, with WAPO, the World Association of Pituitary Diseases and with IKCC, the International Kidney Cancer Coalition, to support fundraising, awareness and education for patients about the diseases. At the end of 2016, we launched the website www.livingwithnets.com designed by and with patients for the use of patients with NETs. The site provides the full picture of the condition and offers information and support for patients to help them on their journey. In 2018, we launched in partnership with Europa Donna France, www.everydaywins.org a website designed to empower and support women living with breast cancer by providing them with helpful tips for their everyday life. In addition to general disease & treatment information, visitors to the website can benefit from some tips as well as learn from the invaluable experiences of survivors and women already living with the disease. In the United States, Ipsen also supports IPSEN CARES™ (Coverage, Access, Reimbursement and Education Support), a program that assists patients in overcoming obstacles to start or continue treatment with SOMATULINE® for gastroenteropancreatic NET and acromegaly, as well as INCRELEX® and DYSPORT®. The website includes advice on issues relating to access, distribution and financial concerns. Cadarella A., Pathol Oncol Res. 2013. Abou-Alfa GK et al. Cabozantinib in Patients with Advanced and Progressing Hepatocellular Carcinoma. N Engl J Med. 2018 Jul 5;379(1):54-63.